Listen to the full episode for all the tea on… our dating history! Hey beautiful Delight family! Mac & Kenz here! We are SOOOOO stinking excited to finally introduce our baby podcast to the world. We’ve spent the last few months in our office laughing and chatting with some of our amazing friends about all things Jesus, dating, relationships, and being a girl. THE FOR THE GIRL PODCAST! We hope you love it as much as we do! We will be releasing a new episode every week for the next 8 weeks so get excited for more things “for the girl!” Thanks for going on this journey with us and for always making us feel incredibly loved and supported. We love you all tons! We wanted to kick things off by sharing a little bit of the BTS story of Delight. It all begins with two girls meeting at freshman orientation at Belmont University in Nashville, TN. (spoiler alert: it’s us!) Believe it or not, we actually weren’t BFFs right off the bat! It wasn’t until we both happened to go to the same worship night at the end of freshman year that we realized that we HAD to be friends. Six months later, we decided to start a BIble Study together. It was that simple Bible study that eventually grew into what you know Delight to be today. Pretty crazy right?! From the get-go, we knew we wanted Delight to be all about Jesus and how He was moving in the midst of what we we’re going through in our every day lives. In all honesty, we avoided talking about dating & relationships because we feared it might could cloud the vision of Delight. So, we steered clear of them when it came to our Delight curriculum. However, we realized before long that just because we weren’t talking about them didn’t mean that dating & relationships weren’t an integral part of college women’s lives. We wanted to resource women with a healthy way to talk about their faith in terms of dating and relationships. It was then that “For the Girl” was born! In the spring of 2017, we launched our very first “For the Girl” book ALL about dating & relationships. A year later, we launched our For the Girl Tour! Since then, we have experienced such an incredible response from girls who feel like this area of our ministry has benefitted their lives as they come to know who they are and who God is. This year, we were so excited to release a new book, “How to Prepare For Your Future Love Story!” This book dives into the heart and life preparation necessary before each of the 6 dating personality types (find out yours by taking the quiz here!) dives into their future love story. 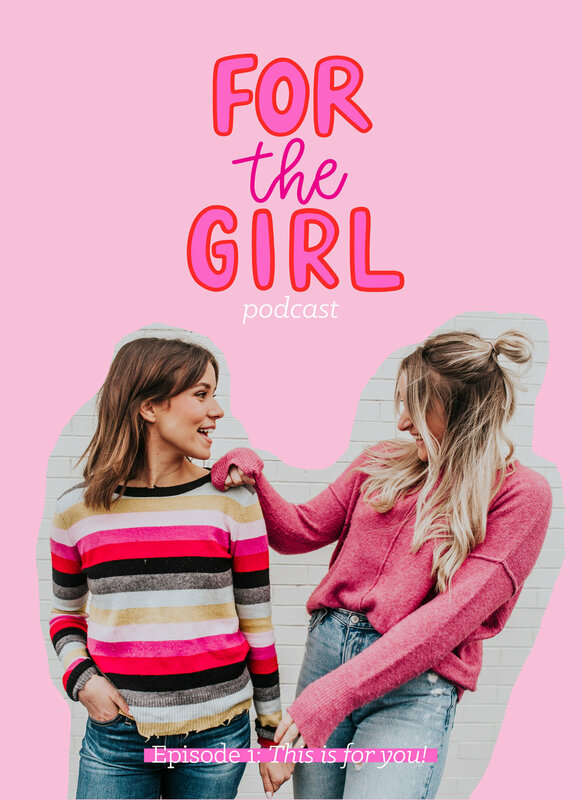 We are so excited to introduce the For the Girl podcast, which will take a deeper look at all things dating, relationships, girls, and JESUS! But, before we jump in, we want to go over the six dating personality types! The next six episodes will outline each of the six types! We are going to sit down with one person of each dating personality type in our community to discuss what it’s like to be that type, the struggles they face, and all the things that God has been speaking to them in this area of their lives. While each episode does focus a lot on dating and relationships, every single episode will ultimately point you back to Jesus. When it comes to the nitty gritty of dating and relationships, we don’t have all the answers, but we know that the best place to bring your questions is at the feet of Jesus. That being said, these episodes are PACKED full of information about each type, some hilarious and some heartbreaking stories from the world of dating, and most importantly lots of talk about the power of Christ in your life. We are SO excited to go on this journey with you!